6" metric thread (M10 X 1) grease gun extension pipe. (For air, battery, or hand-operated grease guns). Grease gun extension pipes permit ease of attachment to hydraulic fittings. 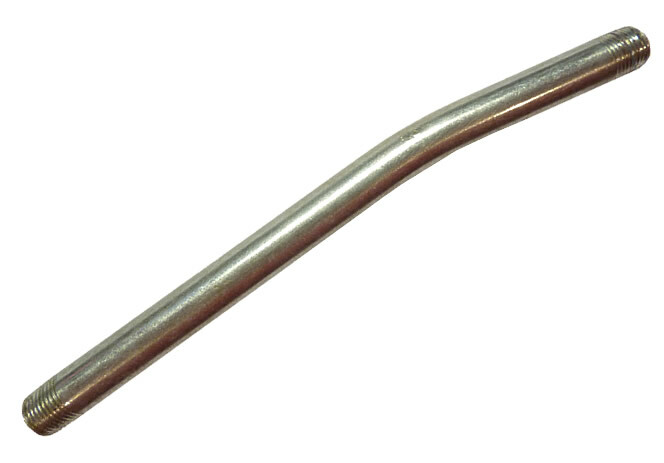 Made from heavy-wall steel tubing with a bright Zinc plated finish. High strength rolled threads on both ends provide a tight seal with the mating coupler or gun. Made in The USA. Threads = M10 X 1. Working Pressure = 6,000 psi.